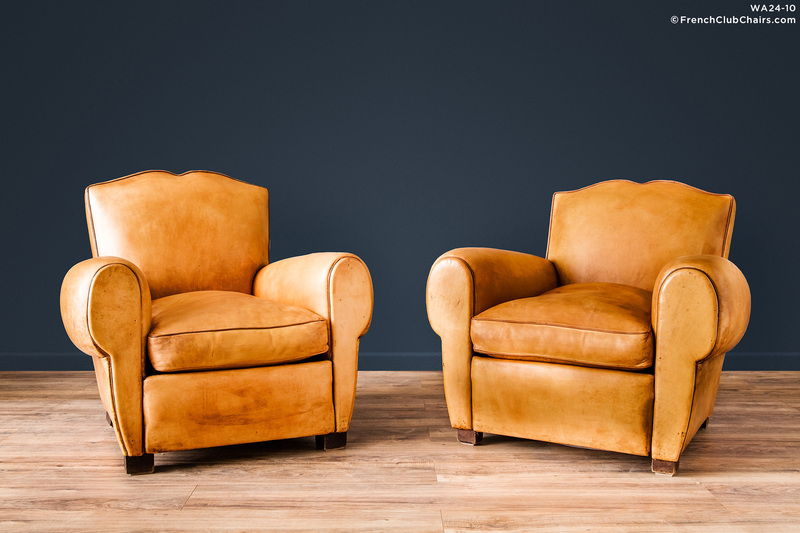 A big beautiful almost Blonde pair of Vintage Mustache French Leather Club chairs. This pair were built in the late 1940s and were probably restored 20+ years ago using the proper French Sheephide. It is quite unusual to find a pair this light in color. There are a few minor stains, the leather is supple and luxurious, they have a nice deep seat that invites you to spend the afternoon. We bought this pair out of a private home in Josselin, a tiny town lost in the middle of Brittany. Leather French Club Chairs.